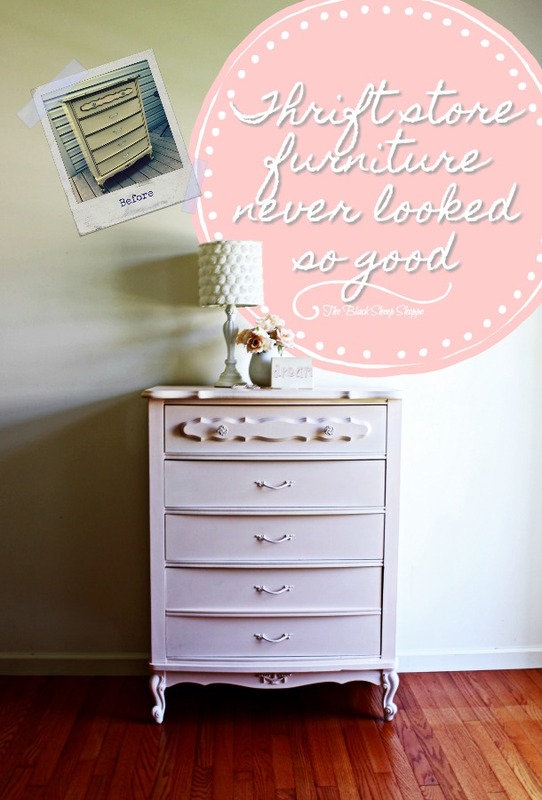 This chest of drawers is a French Provincial style piece manufactured under the Sears Bonnet label. 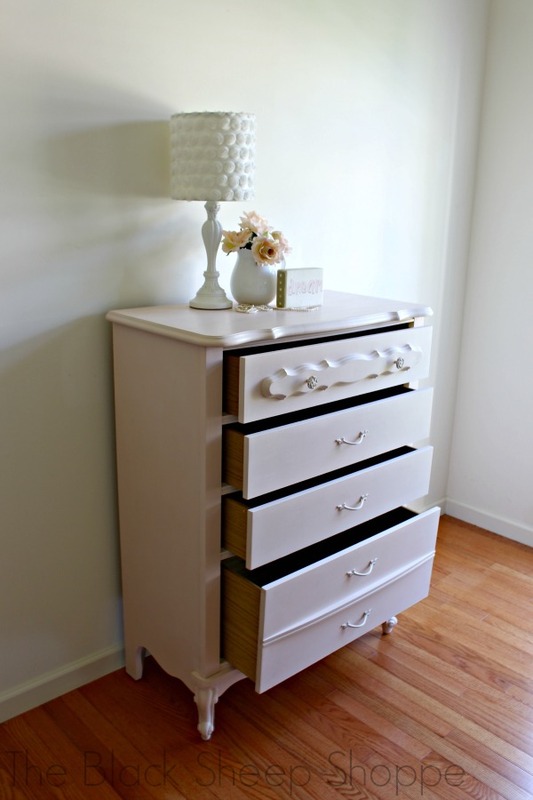 Not too long ago I found a dresser of the same style and painted it white (you can see that project HERE). 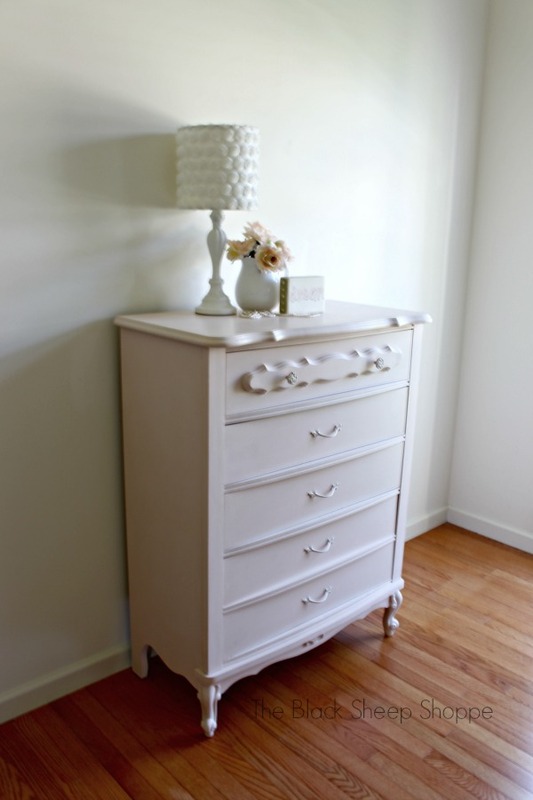 So my first inclination was to paint this white, too. 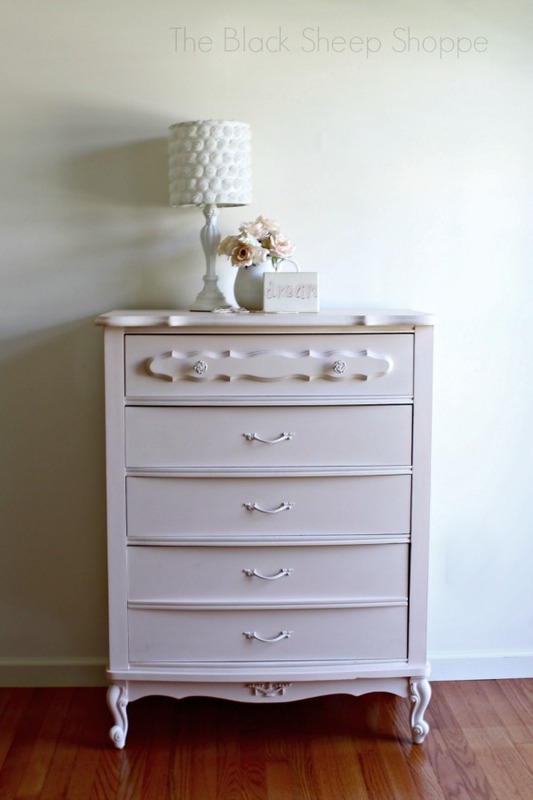 But since I already sold the other dresser, I thought I would try a custom mixed pink instead. The finish on the legs was chipped here and there, but otherwise it was in good condition for its age. 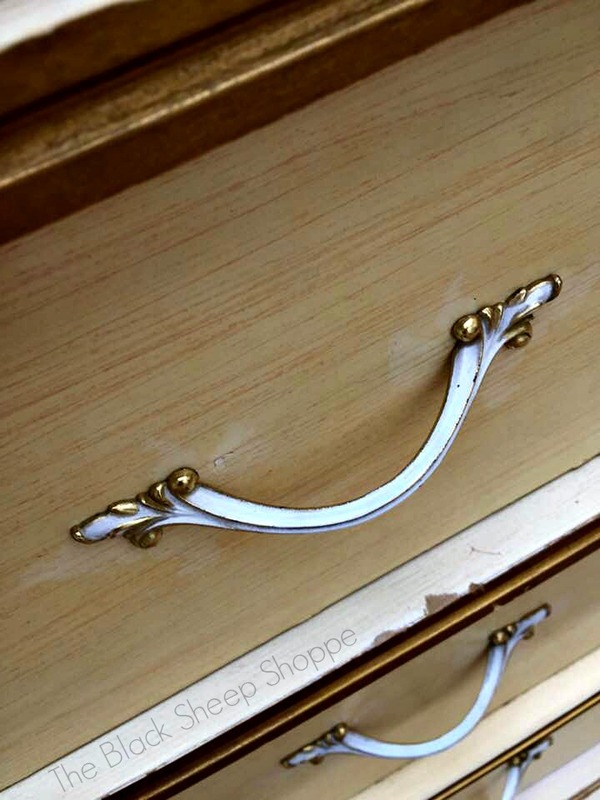 The knobs on the top drawer are original, but the handles on the bottom drawers were replaced at some point. The original finish from the 1970's had yellowed considerably over the years. I can see the outline of the original hardware which is a little whiter than the current finish. The top of the dresser is laminate. Luckily only minimal prep work was required for this piece. There was a lot of residue left behind from stickers. I used a razor blade to scrape off the remaining adhesive. One of the legs was very wobbly, but that was an easy fix. 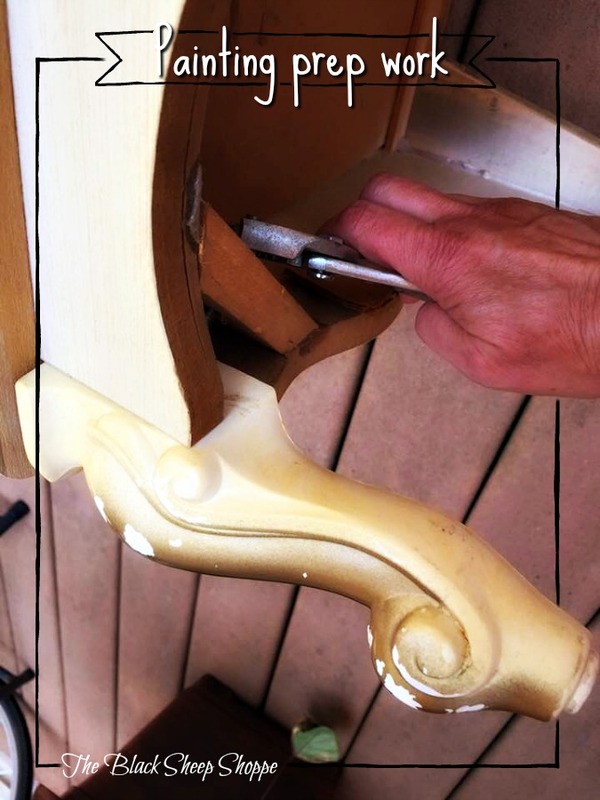 I simply used pliers to grasp the bolt underneath and tightened it. 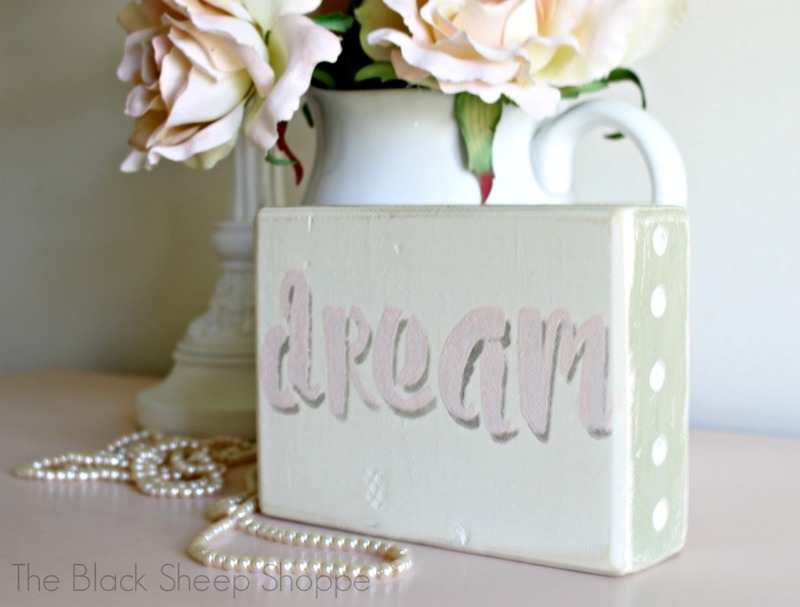 I mixed a custom pink color using Scandinavian Pink and Old White. 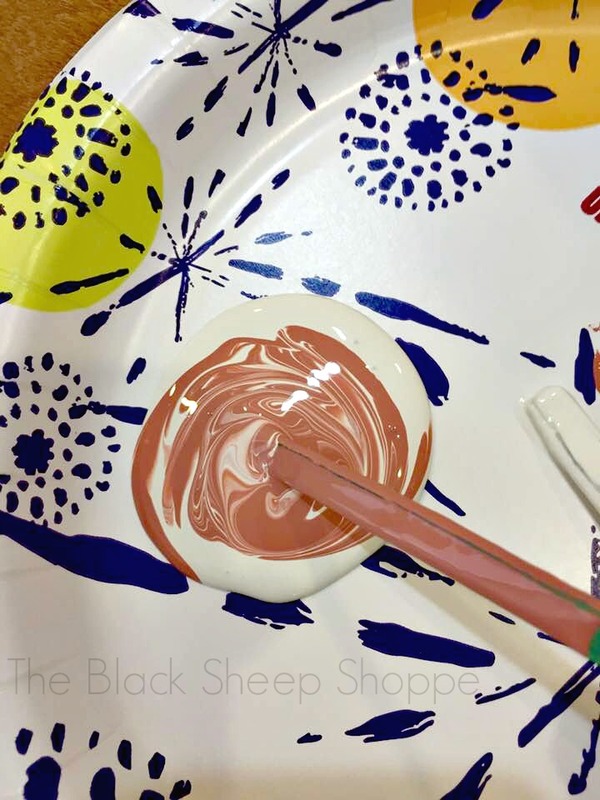 When creating a custom color I first mix a small batch and write out the ratios of paint used. I will use the ratios to mix a larger batch. If I run out of paint and can then use the ratios to mix smaller batches as needed. The color changes slightly when it dries, so before mixing a full batch I tested the color on the frame of the chest. Once I was happy with the color I went ahead and mixed a larger batch. And here she is all pretty in pink! 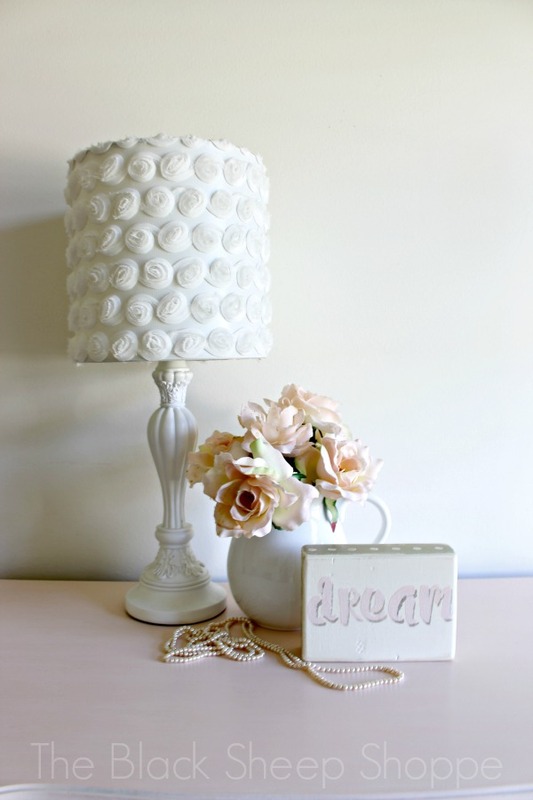 The color scheme for this piece is a one-color finish to keep it simple and elegant. It's a soft and subtle pink. 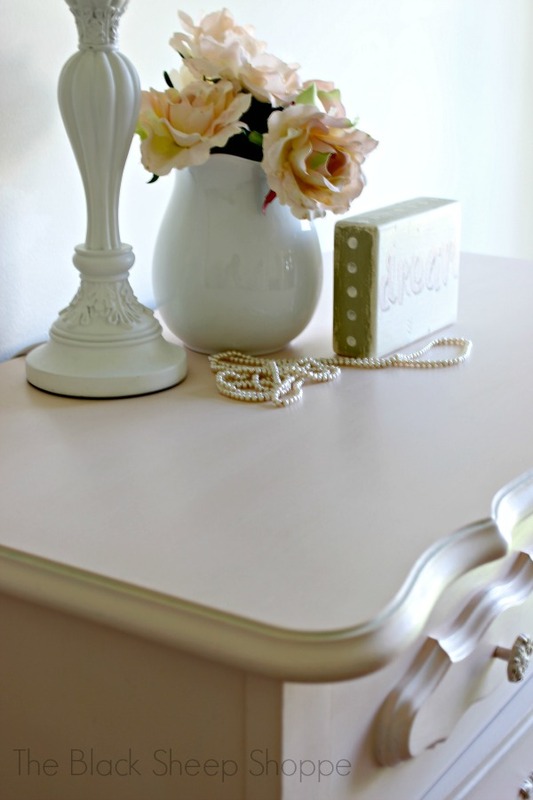 The white staging items add contrast which helps the pink show better in the photo. 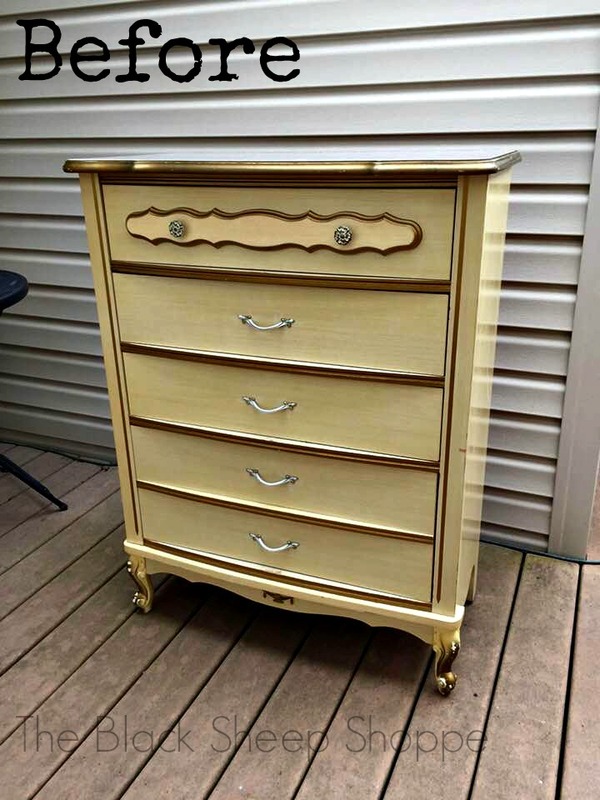 When I first saw this piece I thought it was a 5-drawer chest. But the bottom drawer is actual double deep. Which is so convenient for storing bulkier items. 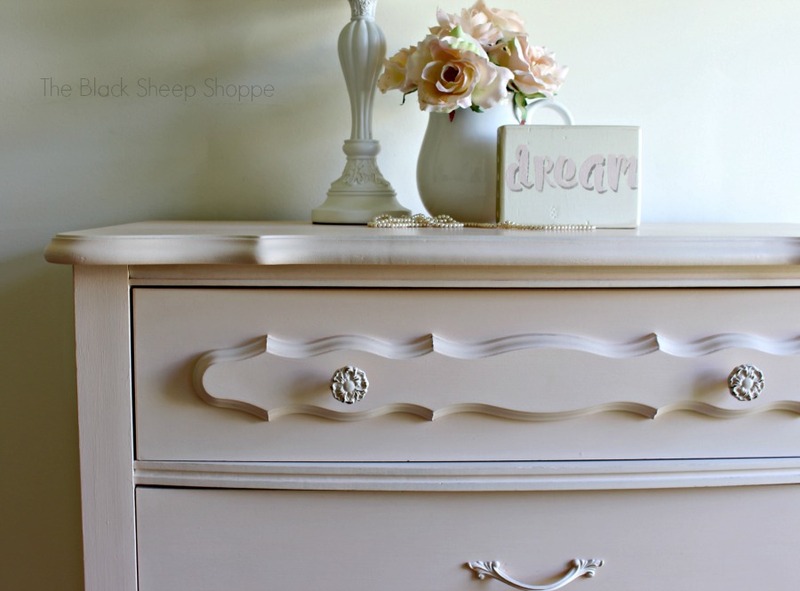 The knobs on the top drawer are original and just so pretty. 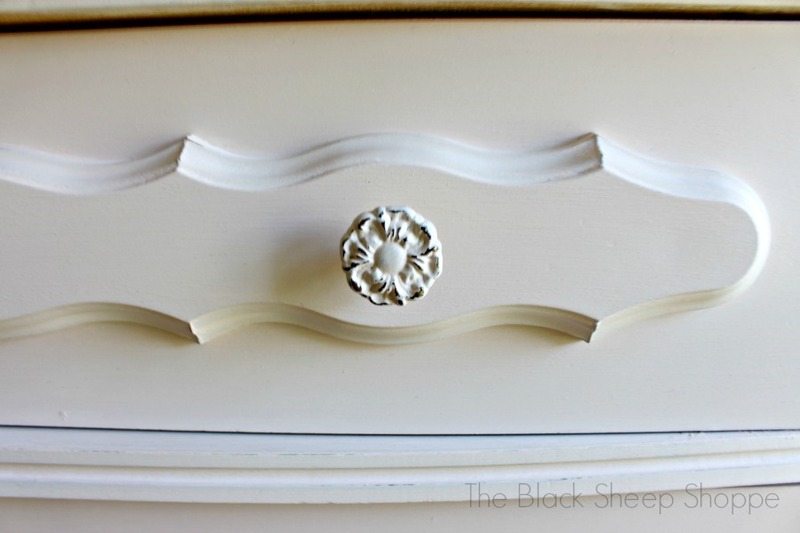 I applied light distressing to the hardware on the drawers, but otherwise didn't distress the paint. 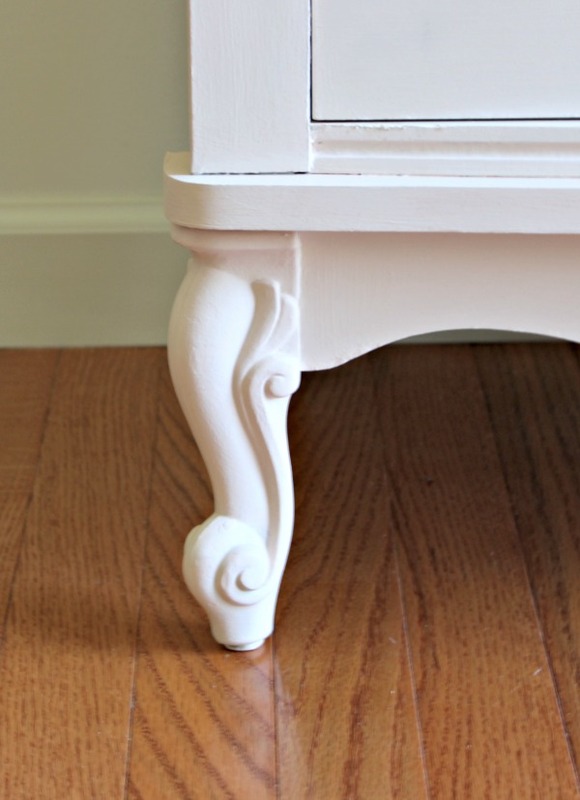 The previously chipped paint on the legs is no longer a problem. 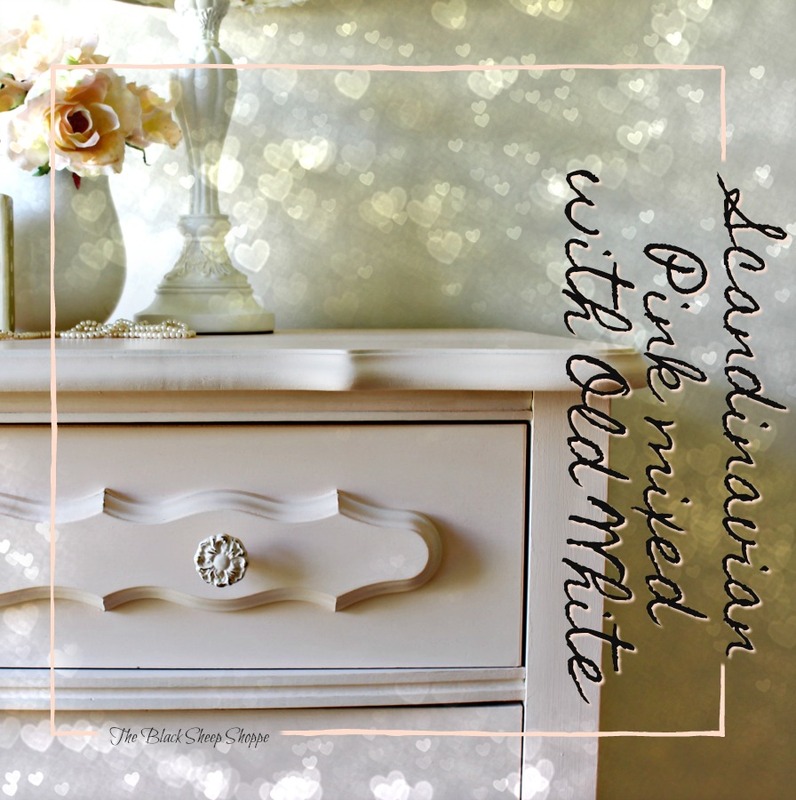 The Chalk Paint covered it beautifully. 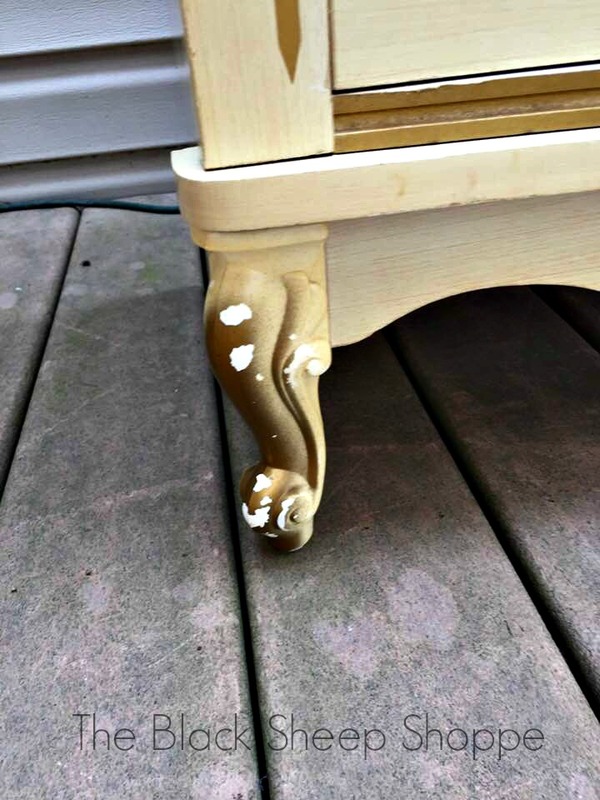 The laminated top was no match for the Chalk Paint. If you're painting with a different type of paint then definitely use a good primer first. I mentioned earlier that my first coat adds a bit of texture. But don't worry, the final finish is smooth as can be, with just a subtle bit of texture. 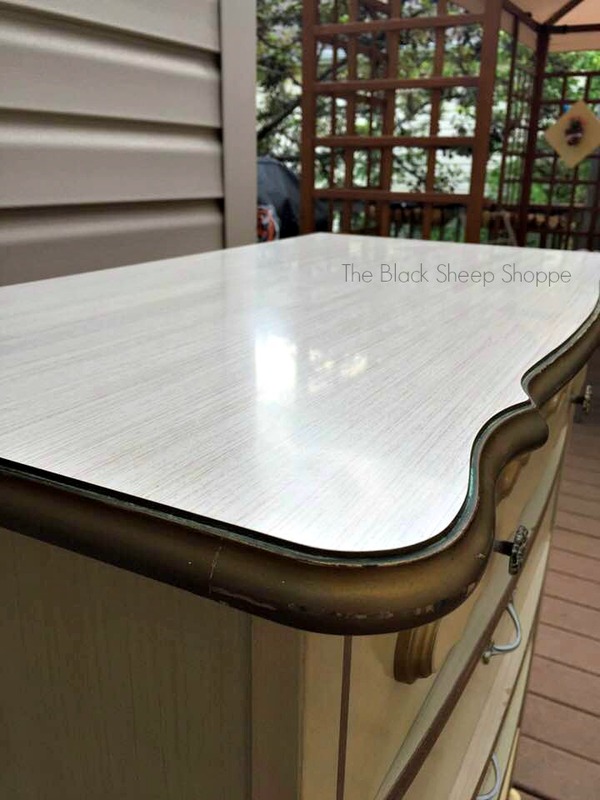 It could be sanded even smoother, but I love the look and feel of a hand painted finish. 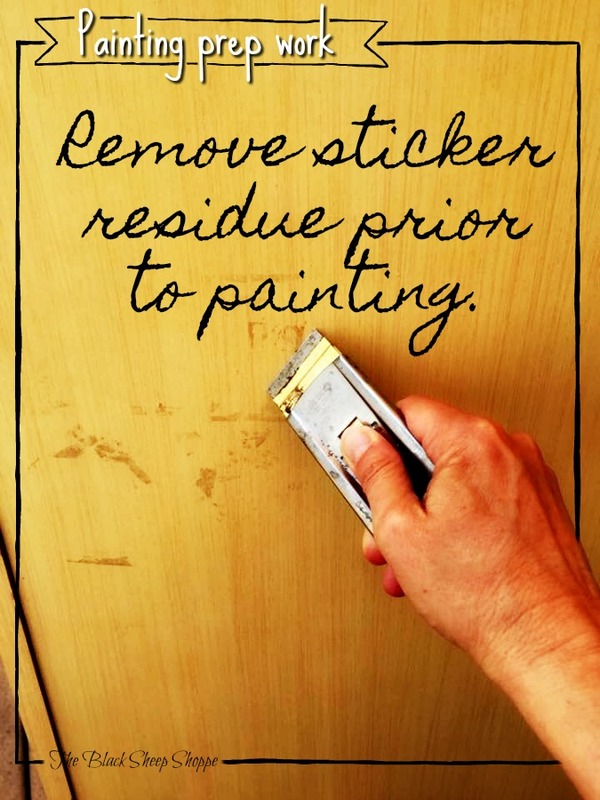 The paint was sealed with soft clear wax. 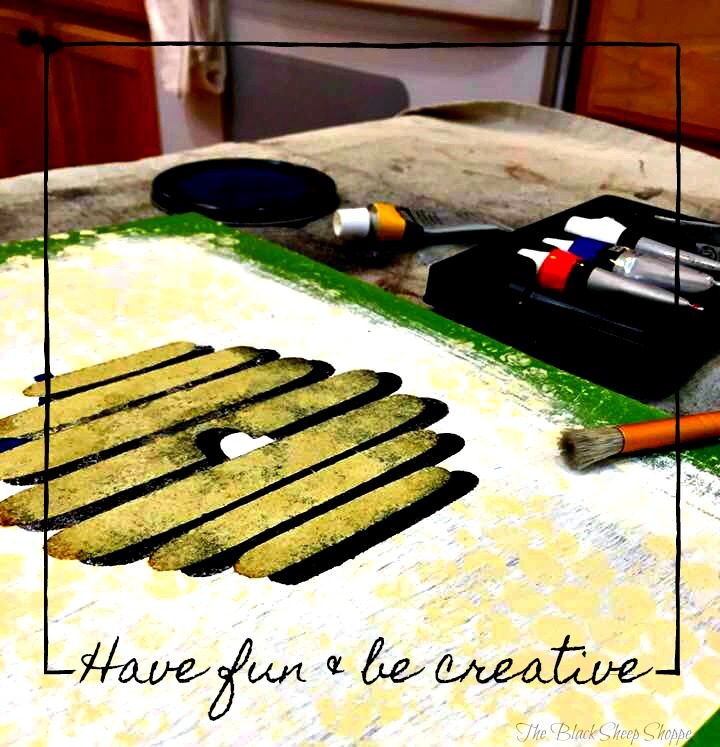 For the staging I made a wood block sign using leftover paint. 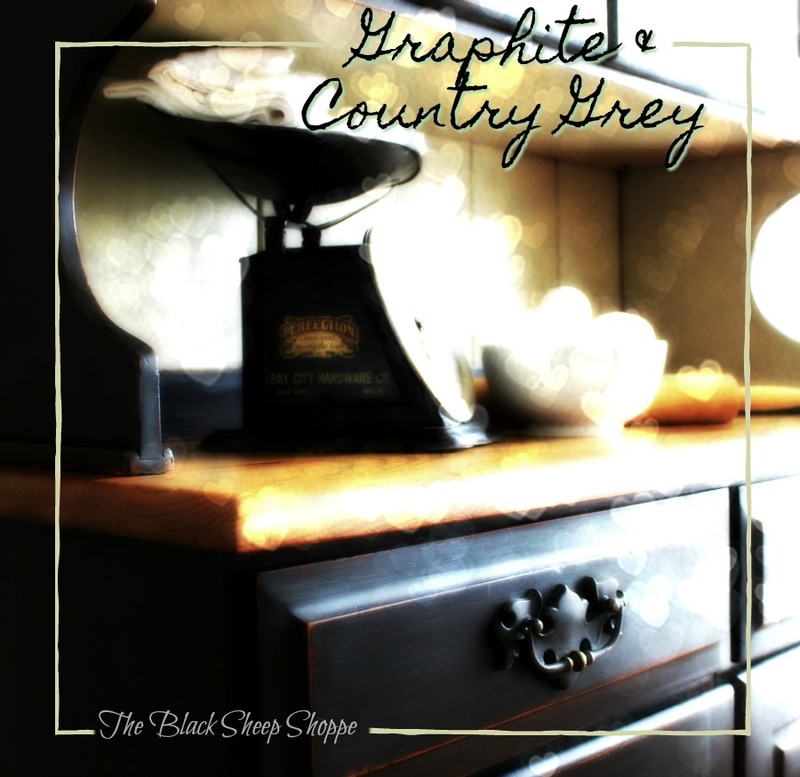 I do appreciate you stopping by The Black Sheep Shoppe today! Really love the color! It is so soft and subtle...just georgeous! I don’t know that I’m sold on the entire piece being that color but then again I am, if you know what I mean. So what was the exact color called? Thank you McGypsy9. 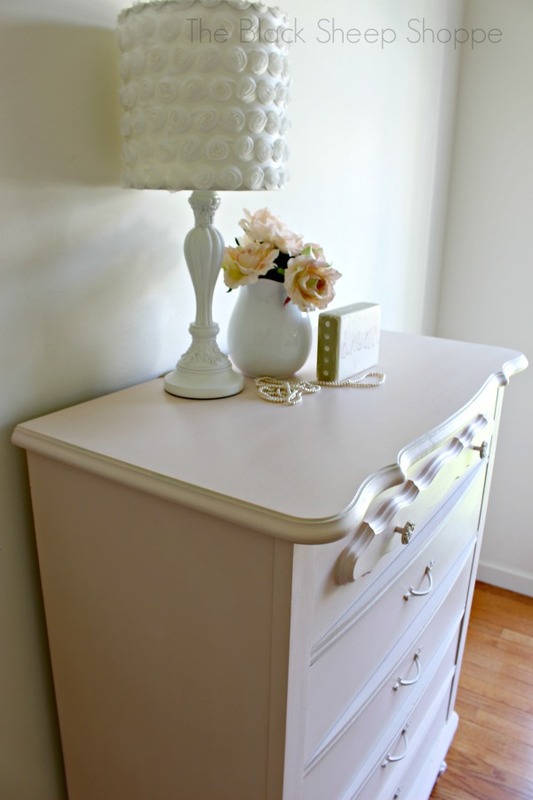 The pink is a custom mix of Scandinavian Pink and Old White (Annie Sloan Chalk Paint).